A forgotten culture: 1 in 4 Cowboys were black and the Lone Ranger was black. Over his 32-year career as a Deputy U.S. 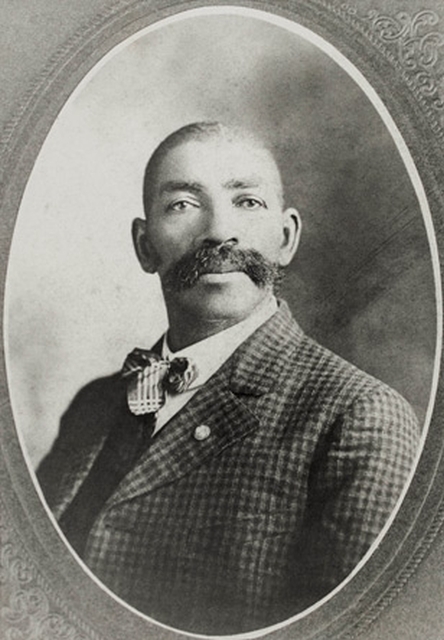 Marshal, Bass Reeves arrested 3,000 felons, killed 14 men, and was never shot himself. His reputation for persistence, his total fearlessness, his skills with a gun, and his ability to outsmart outlaws struck terror into lawbreakers in what we now call Oklahoma. Although other colorful characters made their way into our pop culture, Bass was the real badass of the Old West. Bass Reeves was born a slave in Arkansas in 1838. His slavemaster, William S. Reeves, moved the household to Texas in 1846. When the Civil War broke out, William Reeves’ son George was made a colonel in the Confederate army and took Bass to war with him. At the most opportune moment, Reeves escaped while George was sleeping and took off out west for Indian Territory. Accounts vary on whether Bass beat up George as he left, and whether his immediate aim was freedom or to escape punishment over a card game dispute. In any case, Reeves went to live among the Creek and Seminole Indians. He learned their customs and languages and became a proficient territorial scout. Reeves eventually procured a homestead in Van Buren, Arkansas, where he was the first black settler. He married Nellie Jennie, built an eight-room house with his bare hands, and raised ten children—five girls and five boys. Life was good, but it was about to change for Bass Reeves.